Q.What is a static website? Static website is the one whose content is fixed and cannot be managed manually. These are the most basic websites. Unlike, dynamic websites, there is no back-end database integration for users to manage the content and images on the website. It uses basic HTML coding and minimum scripting. Q.Why do I need a website? Your customers are now looking for products and services online. Customers tend to trust you more if you have a professional, well-designed website. A website not just gives you an online presence but is an integral part of marketing and promoting your business. Q.What are the different types of websites? There are different types of websites available for you to choose from depending on your business needs. Micro site – These are 1-2 page sites used primarily as landing pages for an online marketing campaign or to provide information to customers. Mini site – It’s like an online brochure of 5 pages that typically entails a Home Page, About Us Page, Products and Services Page, Gallery Page, Contact Us Page. Commercial Website – It tells the customers about your services. Depending on your business, you can choose different functionalities that the website can offer to users. 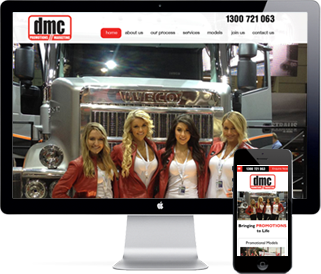 Mobile Website – A dedicated mobile website is built for mobile resolution. It gives an app like look and feel and is easy to navigate. E-Commerce Site – It’s an online store where users can see your products. You can offer a number of features to the customers to buy online, choose a preferred payment method, make secure payment, choose shipping and delivery option etc. Social Media Site – Building your business profile on social media platforms like Facebook, Google+ etc. with the objective of directly reaching out to your customers. It is also designed to support marketing and branding activities. Q.I already have a website but it’s not helping my business anymore? If it was built long ago and is not meeting your business objectives, it must be out-dated. A website must be able to attract visitors, generate leads for you and ultimately increase your sales. The most important step in setting up a website is to define your goals clearly. What is the purpose of having your own website? Should it make it convenient for users to buy from you online? Or do you just want customers to seek information about your products? Also, Google is constantly changing, and websites need to adapt to these changes as well. Hence, make sure that you revise your online marketing strategy by optimizing your website. Whatever is it, you need to redesign your website. Q.How is it different from a CMS website? Unlike static websites; CMS websites have an integrated back end CMS panel from where users can manage the content of the website. It doesn’t require them to be experts in HTML coding because of its user-friendly interface. Q.Can I update the website on my own? Static websites are HTML coded web pages. And, the only way to make changes to the content on a static website is through coding. Hence, you need experts to manage static websites. Q.What process do you follow to set up my website? Customer On-boarding – It involves allocating a dedicated project manager who will be your single point of contact during the course of the project. Allocation of necessary resources who’ll be working on you project. Pre-Requisite Specification – We’ll share a pre-requisite document with you which entails your design specifications like logo, colour preference, reference websites that you like, content, images etc. Concept Design – We’ll prepare concept designs for your website, first for the home page and after customer’s approval, we proceed and design the inner pages. Development – All the web pages are now hard-coded in HTML with to give you the exact design you had approved in the previous step. Prototyping – We’ll build a prototype or a dummy website to make sure it has all the functionalities the customer had asked for and has correct linkages of pages for appropriate navigation. User Acceptance Testing – We’ll send the prototype after we have tested it internally to our customers so they can validate that the website meets their requirements. Beta Release – We release a working version of the website and host it internally. Go Live – Finally, the website is made public for the users to start browsing. Q.Can people see my website on search engines? Your website won’t appear on search engines immediately after you’ve built it. People can just visit your website when they enter your domain name in the web browser. You need to optimise your website for it to appear on search engine result pages. To get your website to rank higher on search engines like Google, you’re looking at Search Engine Optimisation (SEO). Q.How do I get people to visit my website? After you’ve got your website designed, people should be able to find you when they’re looking for related products and services. To get visitors on your website, you need to advertise your website using online marketing tools like SEO, PPC or Email Marketing. Q.What is SEO friendly website? SEO or Search Engine Optimisation makes your website optimised to rank higher on search engine result pages (SERPs). A SEO friendly website abides by SEO guidelines as using the relevant keywords, URLs, updated content, heading and title tags, Meta descriptions and a detailed site map. Q.Will the website open on mobile phones? Yes, the website will open up on a mobile phone. Our Static websites are designed in a way that they are compatible for multiple device access. Q.What if I have trouble with my website later on? We will resolve any teething issues just after the website goes live. But if you’d like ongoing technical support for your website, we offer various support service packages depending on your requirement. Q.How long will it take to have a fully functional website? A basic website design is completed in about 3-4 weeks. More complex projects take longer to complete. It also depends on how quickly the customer responds to us with his feedback when we’re waiting for his approval on something. Q.Can I analyse the website’s traffic? Websites provide you with the ability to view reports on the basis of your pre-defined parameters. You need to define what all you’d like to know. For example: What are the most popular pages on your website where you’re getting maximum traffic, how much time do the visitors spend navigating through your website, which pages do they drop out faster and so on. There are many advanced analysis tools available. We can integrate such tools like Google Analytics, Stat Counter etc. for you to analyse your website traffic in depth. Q.Do you write the content on the website? Content is as important a part in the website design process as the website itself. If you need help in writing your website’s content, we’ll make sure you have content that is optimised with your business keywords to make it SEO compatible. Q.Why should I choose you? Broadway InfoTech over the years has focussed on providing solutions to customers that best meet their business objectives. We’re flexible yet innovative in our approach. Our processes are streamlined to deliver well-crafted business solutions to our customers. We design custom websites tailored to your business need.